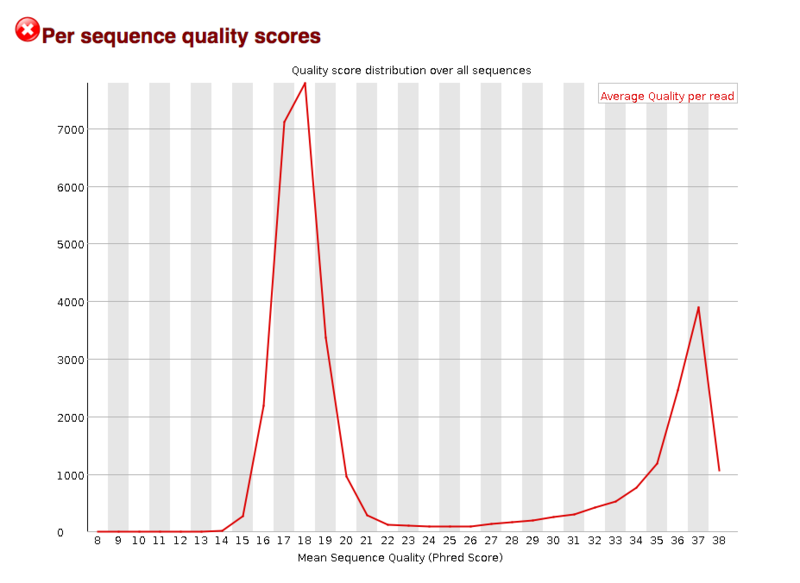 I have some RNA-seq data that I trimmed and then ran through FastQC to check the quality. For the R2 file for my read, there seems to be a bad quality score for a large portion of the reads. A lot of the reads are in the red zone. 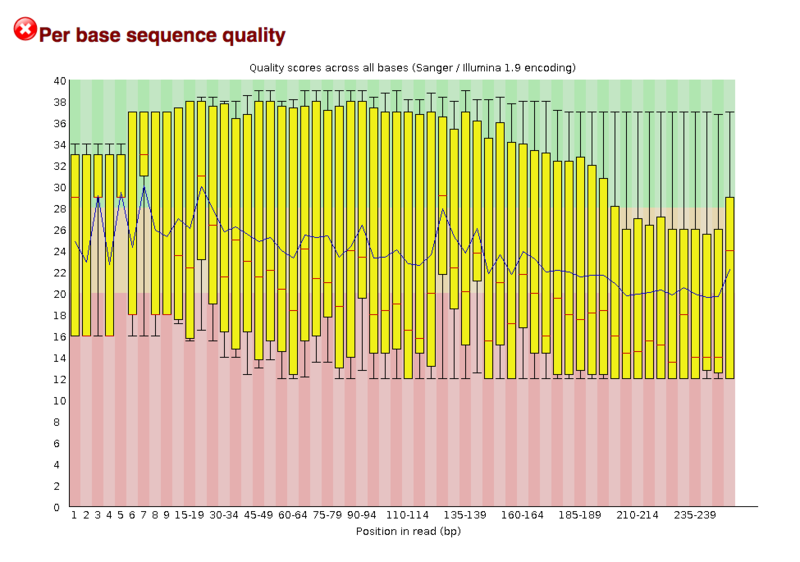 I would like to isolate the good quality reads with the >30 mean sequence quality. It looks like some mapping programs (like STAR) look at the quality score average for each base. However, that would not help to isolate the good quality reads because the calculated average for each base includes the quality scores of both the bad and good quality reads. Is there a separate program out there that can remove the low Mean Sequence Quality reads. Or do some alignment programs already take this into account? Or, is my logic to separate reads of differing quality inherently flawed? Also, I am assuming a good quality read has a Mean Sequence Quality > 30. This will discard reads with average quality below 10. If quality-trimming is enabled, the average quality will be calculated on the trimmed read. That depends. If you have a good reference sequence you are aligning to then data down to Q10 or Q15 may be acceptable. For any de novo work you would want to be strict. Q25 or Q30 and above. BTW: This data does look a bit ugly. Make sure you also scan and trim for presence of adapter sequences. FastQC: box plots without boxes?